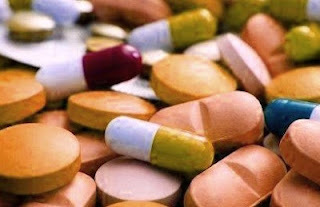 The US Department of Health and Human Services (DHHS) panel recommends Antiretroviral therapy (ART) for all HIV-infected individuals, in the guidelines updated on 27th March 2012. The panel strongly recommends initiating ART for the following group of patients, a) pregnant women, and people with b) a history of an AIDS illness, c) HIV-associated nephropathy, and d) hepatitis B virus co-infection. These new recommendations are primarily based on the increasing evidence showing the harmful impact of ongoing HIV replication on AIDS and non-AIDS disease progression and the updated recommendations are also based on the emerging data showing the benefit of ART in preventing secondary transmission of HIV. Recommended first-line regimens remain the same: efavirenz or ritonavir-boosted atazanavir or ritonavir-boosted darunavir or raltegravir, each in combination with tenofovir/emtricitabine. The experts also recommend that anyone older than 50 years to be initiated on ART, regardless of CD4 count, considering the risk of non-AIDS related complications. However, since antiretroviral side effects occur more often in older people with HIV, the panel advises close monitoring of bone, kidney, metabolic, cardiovascular, and liver health in HIV infected patients of older age. For further information: HHS Panel on Antiretroviral Guidelines for Adults and Adolescents. Guidelines for the Use of Antiretroviral Agents in HIV-1-Infected Adults and Adolescents. 27 March 2012.